AESSEAL India, Pune facility has world class manufacturing & Design capabilities which is ISO 9001:2008 certified. Spread across four acres of land, the facility has a full in-house Manufacturing which includes machining, moulding & pressing. A “Dynamic Test House” is set up in the facility for testing Global & Indian products to further strengthen our Engineering capabilities. The Pune facility also has a state of the art fully integrated global 3D CAD / CAM system. Handing national sales, business development & engineering of mechanical seals, support systems & bearing protectors. Sanjay is a dynamic professional with over 17 years of experience in Process, Pharma, Metal & Mining, Pulp & Paper and Petrochemical industries. 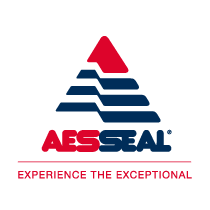 Working with AESSEAL India for sales & business development of mechanical seals for Maharashtra & Goa. Wide experience in promoting fluid sealing & control products for process, general & Petrochemical Industries. Please feel free to contact me for long term & reliable mechanical seal solutions.